Do You Wanna Dance…with Boogaloo Assassins? 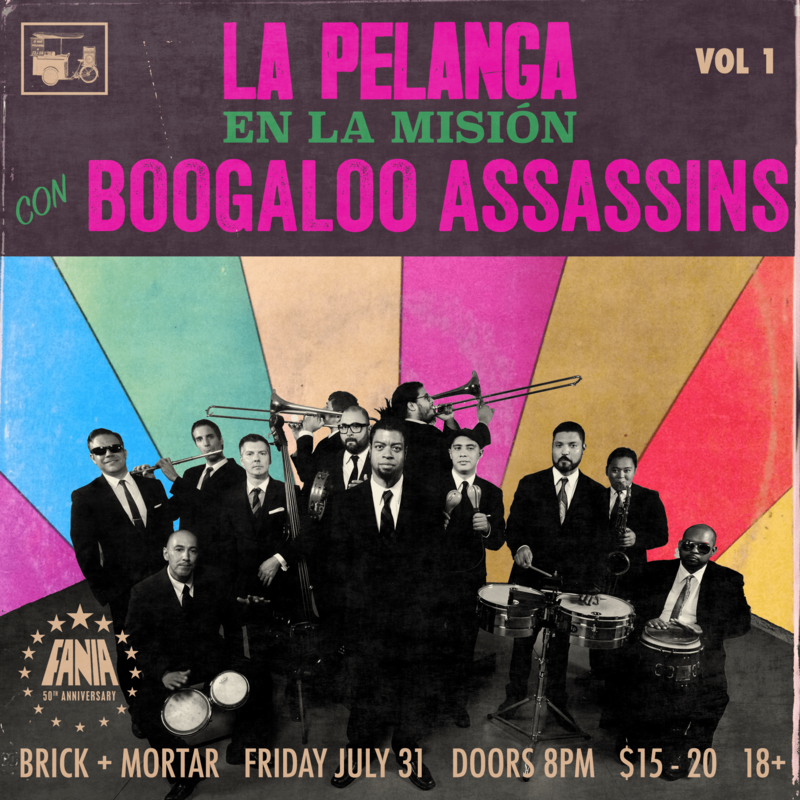 Have you heard that we’re starting a monthly Pelanga party in La Mision at the Brick & Mortar? That’s right! We’re kicking things off Friday July 31st with West Coast-bred Boogaloo Assassins. These twelve latin soul brothers have steeped their rich Los Angeles roots with the often emulated sounds of New York’s Spanish Harlem to make Old Love Dies Hard (2013) – a six song EP on the Sicario/Fania labels, that’s guaranteed to bring your whole family to the dance floor. Old Love Dies Hard combines three of the group’s original recordings with covers of several perennial tracks, including a seamless, montuno-drenched version of Dawn Penn’s dancehall classic, You Don’t Love Me (No No No). For the long time lover of latin soul, Boogaloo Assassins will take you on a walk through the familiar musical landscape of East Harlem in the 60’s and 70’s. Think of boogaloo, salsa, and soul classics on storied labels like Allegre, Fania, and Tico – but with a sunny infusion of laid back California swing. For the uninitiated, simply ask yourself the question – do you wanna dance? If the answer is yes, then we’ll see you at the show! Or if you’re on the fence about it, reconsider as Boogaloo Assassins reframe the question with their original composition and instant party starter – Do You Wanna Dance. So, now what’s your answer? 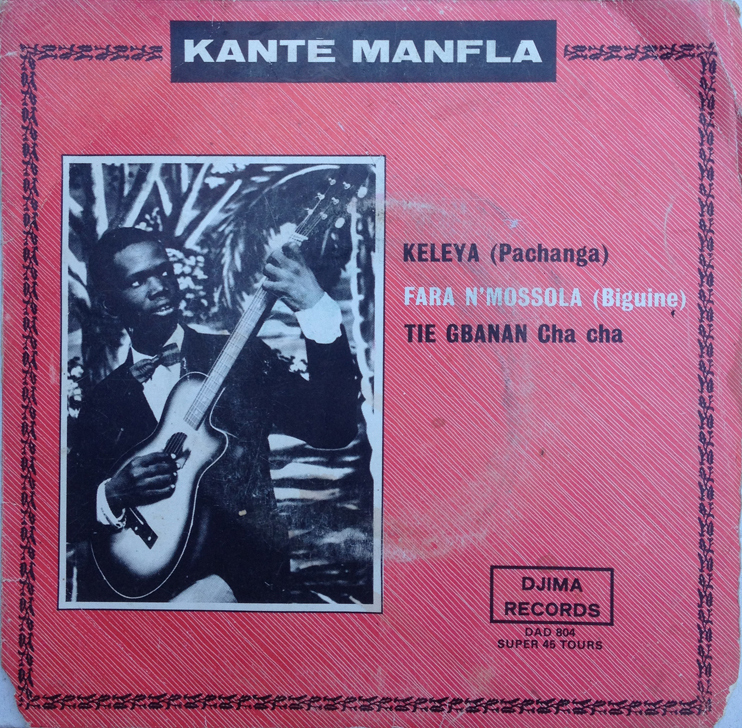 In case you were wondering who was peeking through the 45 hole in my last post, I decided to share another breath-taking pachanga from that very person – Guinean master guitarist Kante Manfla. Manfla is one of those prolific artists, who due to varied and sometimes ambiguous associations confuses the inquisitor. Just check out World Vision’s investigative post from back in 2009 and you’ll see what I mean. Without any answers to the many questions about Kante Manfla, I’ll simply leave you with this call to the dancefloor – Keleya. Make no mistake, this song is exceptionally potent with Manfla’s Son-africano flavor and gets played on repeat at my place. Just listen to the way the drums, guitar, flute, and horns take turns telling their own tale of Keleya while you work up a sweat. 2 Beers Or Not 2 Beers? …And Poly-Rythmo! It’s 2:00pm on a Saturday afternoon and I’m contemplating whether or not I should crack open a beer. It’s a beautiful weekend and I don’t have to work tomorrow, so I guess I can afford to indulge so early in the day. On the other hand, I did make an especially long to-do list for the day and don’t want to sidetrack myself with any drunken tangents. I decide to throw on a record as I deliberate this familiar predicament. 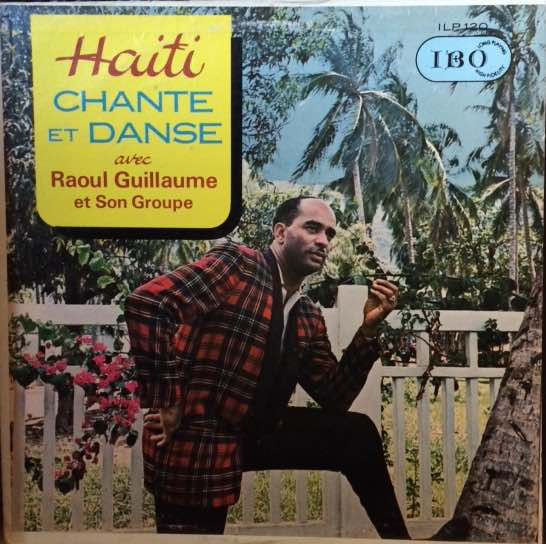 Top on the recent arrivals stack is Gendarme Si We – a highlife-inspired pachanga tune by Benin’s hard working Orchestre Poly-Rythmo. 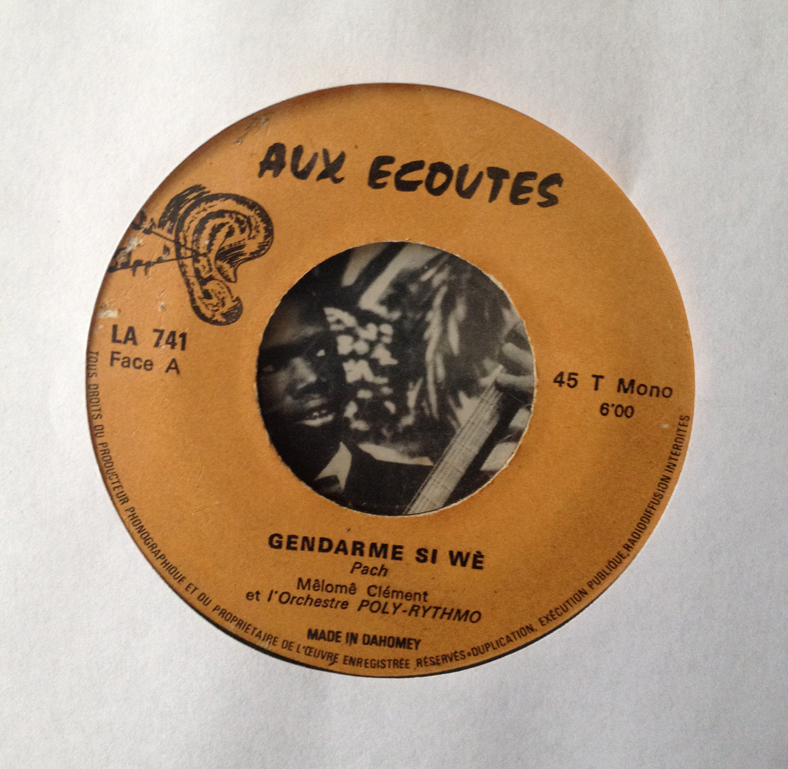 A recent trade with Taran over at Fat Headphones, Gendarme Si We and the afro-beat flipside Ahou Gan Mi An is a perfect example of the legendary band’s versatility (often featuring 2 distinctly different genres on their 45s) not to mention a perfect compliment to this gorgeous day. About a minute into the song I’ve made up my mind – it’s a perfect time for a cold beer! Please join me as I enjoy this delicious pairing. And afterward, if you want another helping check out Fat Headphone’s recent Poly-Rythmo afro-beat/rock 45 feature.